This entry was posted in Awanmulan, Community, Resorts and tagged Information Censorship. Bookmark the permalink. 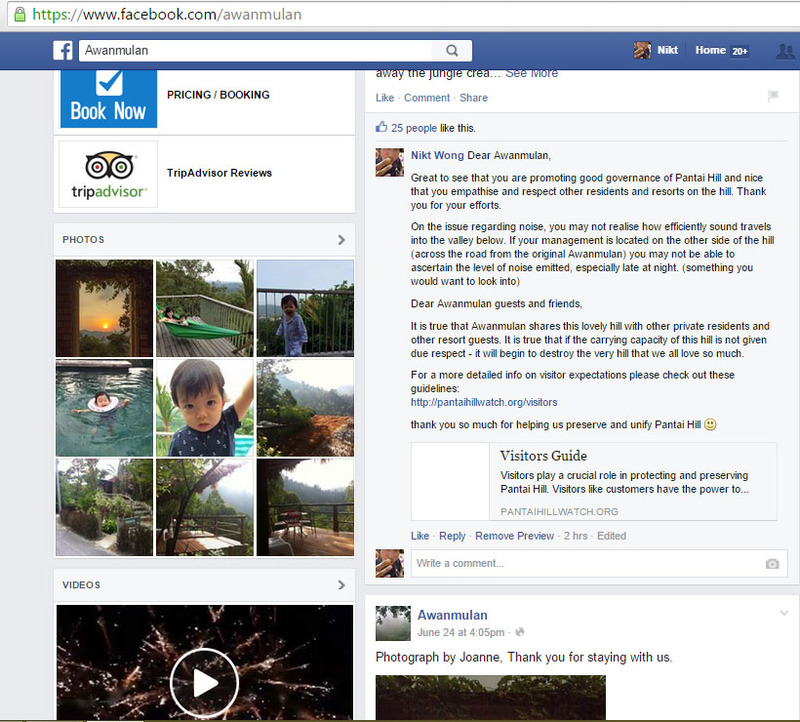 I am disappointed my comment got deleted. I was merely pointing out to Awanmulan to comply with law and agreement made with the developer. 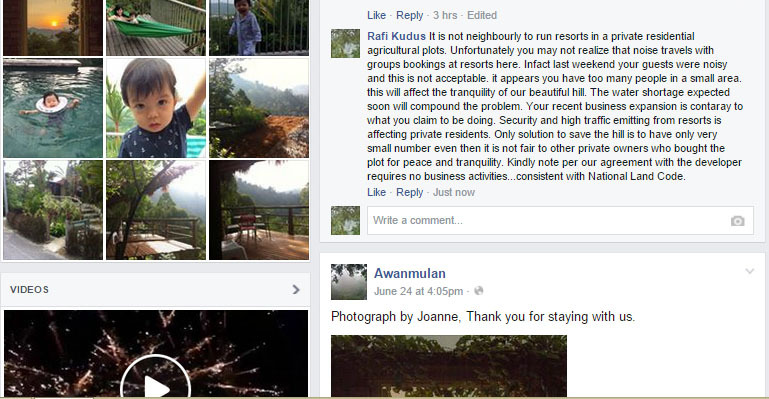 Why run such a big resort and destroy the very hill you seem to say you want to protect. 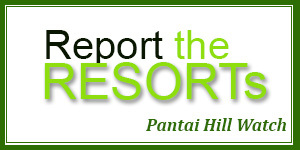 Big groups come with lots of destruction to the natural beauty private residents are trying to protect our beloved Pantai Hill Orchard resort located in Pantai Seremban.